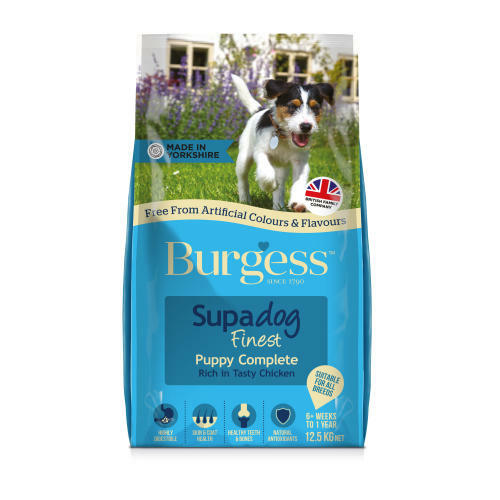 The Burgess Complete Puppy food in chicken is a delicious recipe that gives care to their developing bodies. Made with succulent chicken and oats that is filled with protein, minerals and vitamins to help their growth overall health. Chicken Meal (min 26%), Naked Oats, Wheat, Herring Meal, Maize, Beet Pulp, Poultry Fat, Brewers Yeast, Dried Egg, Monocalcium Phosphate, Salt.